If it's quiet solitude and beauty you seek, there is no better place than the surface of Mars. Mars has earned its moniker as the red planet, but the HiRISE camera aboard NASA's Mars Reconnaissance Orbiter (MRO) can transform the subtle differences of soils into a rainbow of colours. For 10 years, HiRISE has recorded gorgeous - and scientifically valuable - images of Mars. Its photos are so detailed that scientists can examine the planet's features at the scale of just a few feet, including the recent crash site of Europe's Schiaparelli Mars lander. We combed through 2,054 of the camera's latest pictures, released in August, September, and October, to bring you some of the best - and hopefully help you temporarily escape Earth. NASA might land its next nuclear-powered Mars 2020 rover mission here. The black splotch is where the European Space Agency's Schiaparelli Mars lander crashed. The white specks, pointed out with arrows, are pieces of the lander. False-coloring this image makes a giant dune and its gullies look blue. 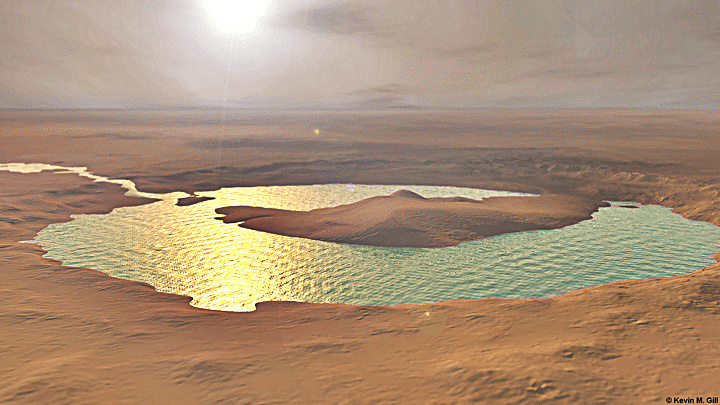 A possible landing site for the ExoMars 2020 mission, which the European Space Agency is running. A North Pole dune field nicknamed "Kolhar," after Frank Herbert's fictional world. NASA keeps an eye of gullies like this for small landslides - and any water that melts in the warm sun to form darker-colored mud. Seasonal dunes on Mars nicknamed 'Buzzel'.